Today was a day of reflection. Both Dwayne McDuffie and Kurt Cobain were born on this day. Dwayne has given us some great comic stories and characters like Icon, Static and that off the wall mini series Damage Control. How can you not be wowed when you look at the list of Dwayne's work? As for Kurt, what hasn't been said already? He and Nirvana breathed a new life into rock music and it still holds up. Happy birthday guys, thank you so much for all that you have given us, you are both greatly missed. 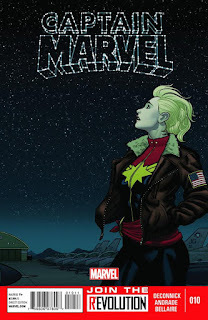 Captain Marvel #10, written by Kelly Sue DeConnick, colors by Jordie Bellaire and art by Filipe Andrade. 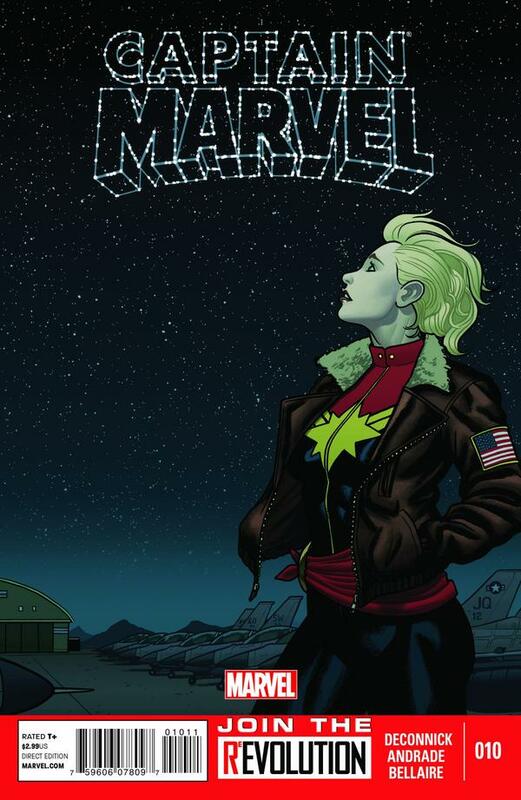 Carol (Captain Marvel) is grounded. That doesn't hit well considering Carol's how life revolves around flying. What does she do instead? She lifts a subway train and pulls it to safety. What does Carol do when Deathbird comes calling if she can't isn't supposed to fly? Kelly Sue is owning this character. I may end up double dipping on this one it's been a solid and fun read with great art since issue one and it keeps growing strong. A lot of good stuff in this issue. Revival #7, written by Tim Seeley, art by Mike Norton and colors by Mark Englehart, cover art by Jenny Frison. The twists and turns just don't stop. Just when you think something in the story might be resolved, it isn't and you're left with...at least four more "what the hell" moments that just brings on more questions. 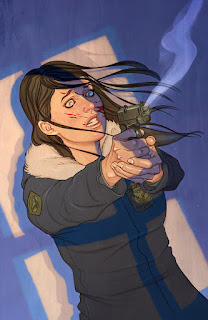 Issue #8 seems so far away, I really need to find that support group.